Tangkuban Perahu, Tangkuban Parahu in Sundanese, or Mount Tangkuban Parahu is a nature tourism in West Java. It is 20 Km from North of Bandung City. 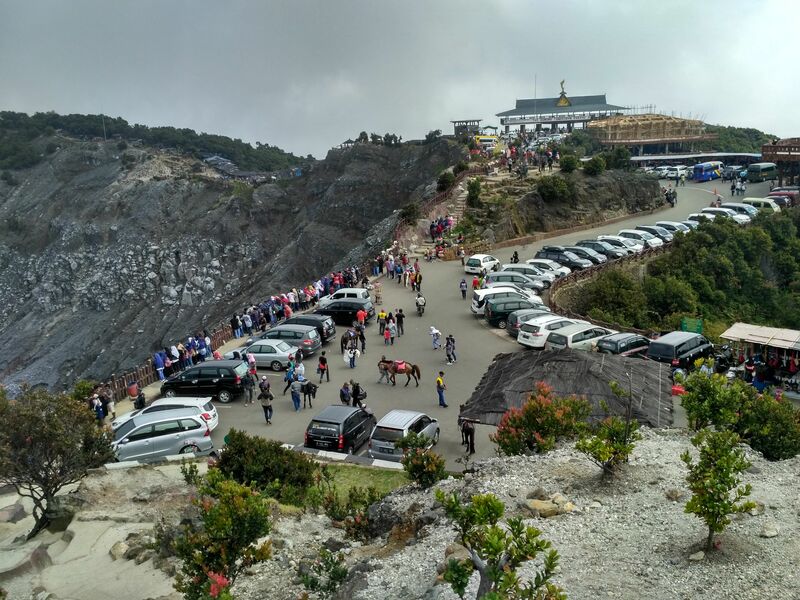 High of Mount Tangkuban Perahu is 2.084 meters. 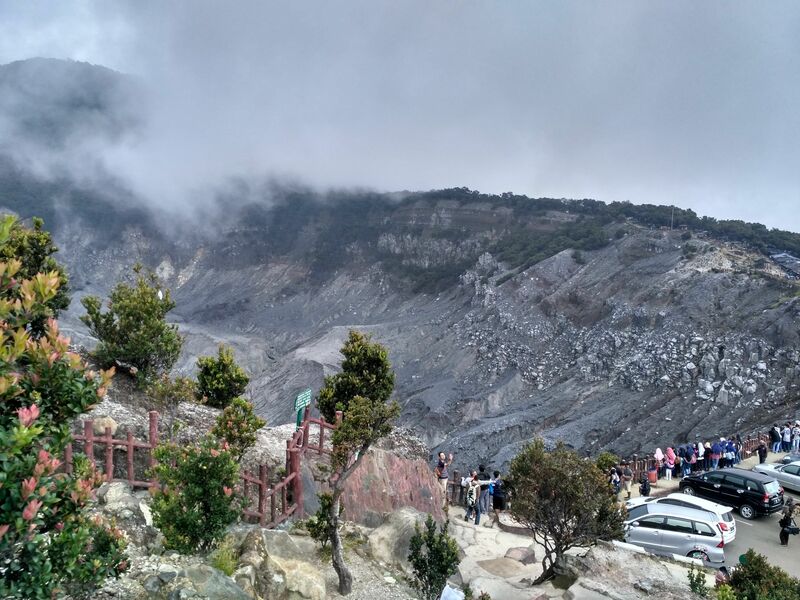 From many articles in Internet, this mount is a popular tourist attraction where tourists can hike or ride to the edge of the Tangkuban Parahu crater to view the hot water spring and boiling mud up close. This mount is one of volcanos that still actively until now. The type of this mount is stratovolcano. 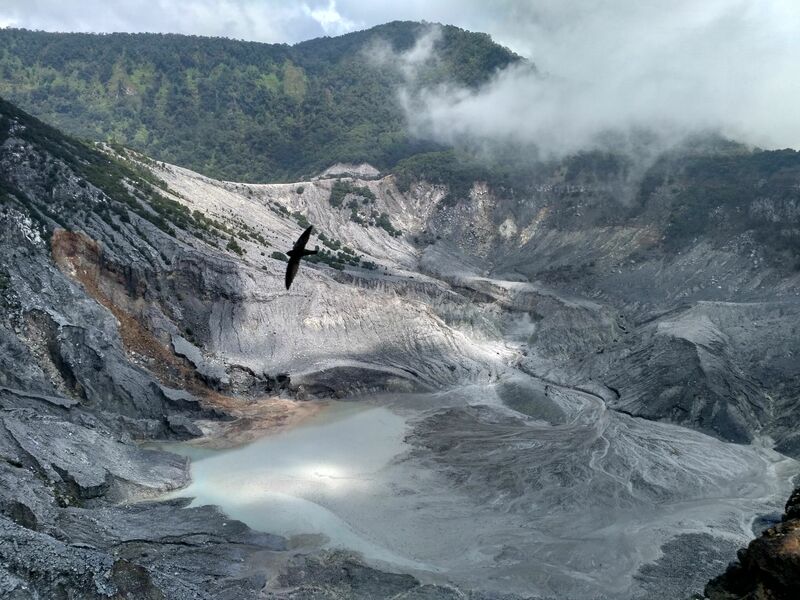 Tangkuban Perahu has a few craters, three of them are Ratu crater is the biggest crater in this area, Upas crater, and Domas crater. Tangkuban Parahu or upturned boat often associated with the legend of local community, Sangkuriang. The story of Sangkuriang is about Sangkuriang who fell in love with and wanted to marry his mother, Dayang Sumbi. To know more about this legend, you can visit this. At this area you must bring jacket or warm clothes. Sometimes you will find fog above the crater. Around the mount and its crater, there are many pine trees that so beautiful. You can enjoy this area, because this crater is already lined. Besides that, you will find many food stalls and parking area. You will find many souvenir and buy them. 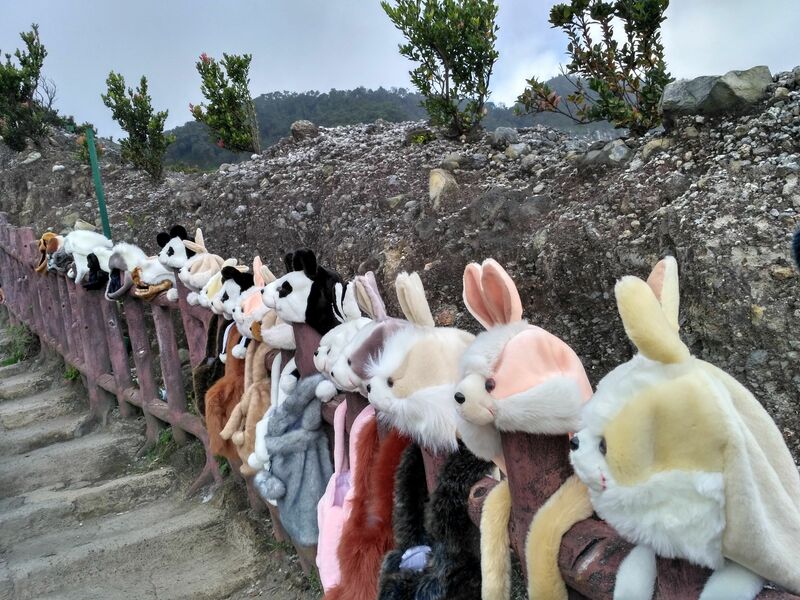 I love animal cap, it is synthetic fur or original fur. There are many shapes of that cap; rabbit, wolf, dog, cat, and another shape. This place is beautiful so keep them always. 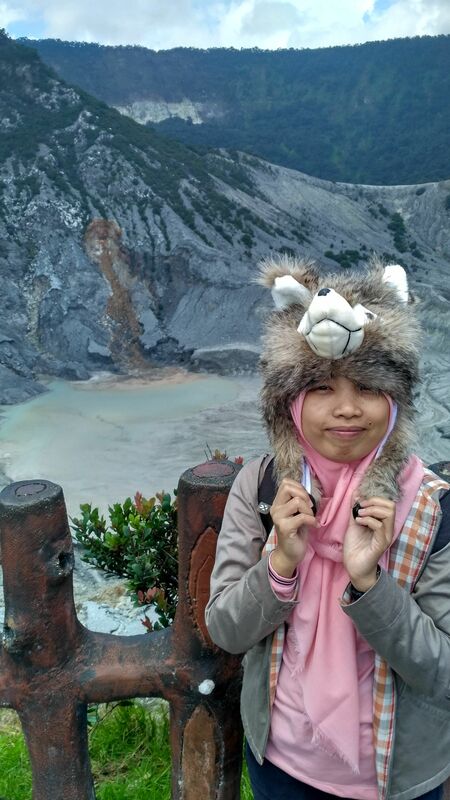 Kawah putih ciwidey, Nice crater.